If you are studying multiplication (and who isn’t? ), you’ll find a great selection of multiplication worksheets including a different series of timed tests designed to introduce the multiplication facts gradually. You will also find useful tools like a multiplication chart, printable flash cards, puzzle worksheets, multiplication word problems and lots of other math worksheets for all operations that support multiplication skill building. Fractions are a great topic that pulls together skills from all of the other math operations and then present students with several new challenges. Learning how to multiply fractions, how to divide fractions, how to convert a fraction to decimal (or back), or a how-to simplify improper fractions are all critical skills. DadsWorksheets.com also provides an amazing fraction calculator to help solve fraction problems, reduce fractions and check your work. If you need help with other topics, including addition worksheets, subtraction worksheets, division worksheets or any of dozens of other math topics, you’ll find a whole range of unique and useful tools on the site. Be sure to try the online timer when performing the timed math tests, or any the other tools on the site to make learning math easy and fun! 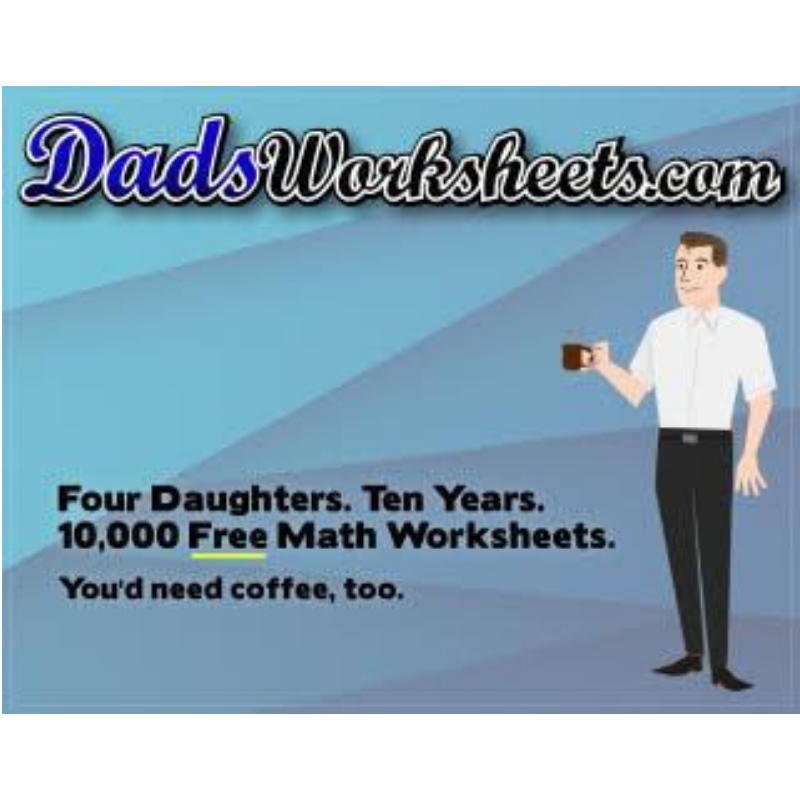 If you need home school resources for math, DadsWorksheets.com is a great free site with plenty of personality. Be sure to check it out and watch for lots of new math content being added on a regular basis!